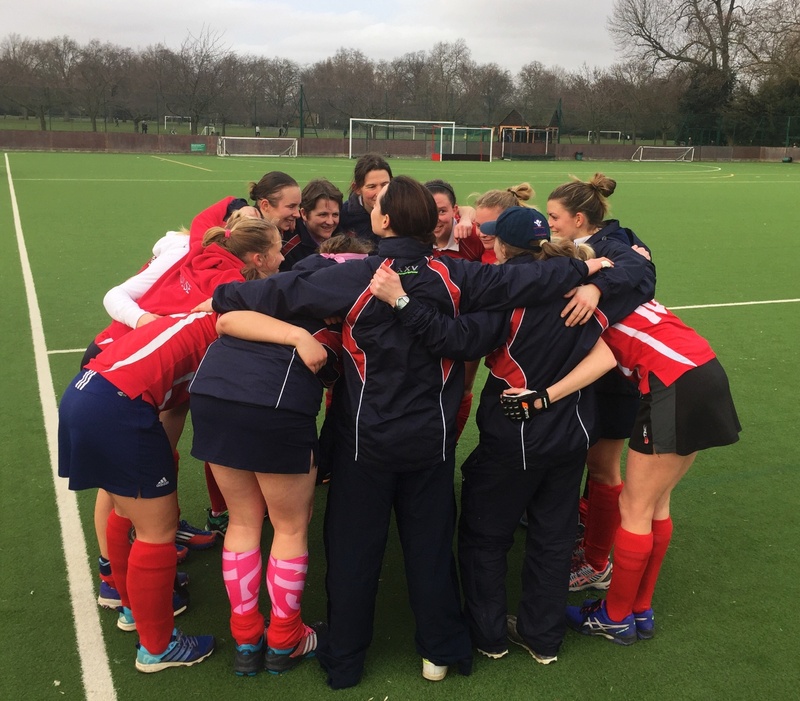 Basingstoke ladies 1s draw against London Wayfarers - again! Basingstoke ladies 1s sponsored by KJ Smith solicitors were filled with excitement before their match against London Wayfarers. A win for Basingstoke would secure promotion into the national league. Basingstoke started extremely well, passing the ball at pace and carving out great attacking opportunities. Midway through the first half Basingstoke were caught on the break and against the run of play Wayfarers opened the scoring. Wayfarers grew in confidence, and the remainder of the first half was a close affair. Basingstoke remained calm and composed, confident that the goals would come. Basingstoke's second half performance was superb, demonstrating individual skills and wonderful team interplay. Their hard work was rewarded through a number of penalty corners, which they struggled to convert until Claire Griffiths riffled home a powerful strike. Basingstoke continued to put Wayfarers under pressure, ready to pounce when the opportunity arose. Basingstoke intercepted the ball as Wayfarers tried to clear their lines. Basingstoke broke at pace with Fi Parker eliminating her opponent then finding man of the match, Roxy O'Dea in the circle to score a second goal past the Wayfarers keeper. Basingstoke were in control of the game but at 2-1 there is always the chance of an upset. Wayfarers piled on the pressure in the final minutes of the game. They crossed a ball from the left side of the pitch which was deflected high into the circle and a highly controversial penalty corner was awarded to Wayfarers. Basingstoke were gobsmacked and asked for clarification, and despite not really understanding the outcome the penalty corner went ahead. With the final play of the game Wayfarers broke Basingstoke hearts with a last minute equaliser. Thanks go to the wonderful Basingstoke crowd who supported brilliantly. All is not lost and Basingstoke still have one game with which to secure promotion - away at Witney on Saturday 30th March.